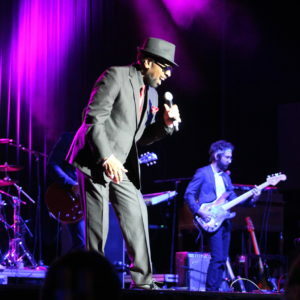 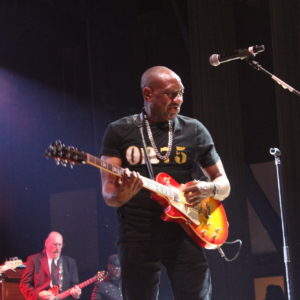 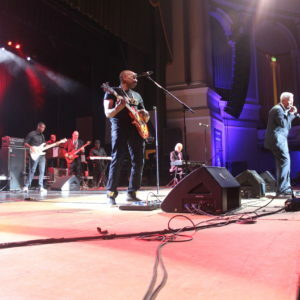 A raucous crowd joined The Otis Redding Foundation on September 11 at Macon’s historic City Auditorium in a grand finale for the weekend of events celebrating the King of Soul Otis Redding’s 75th birthday. 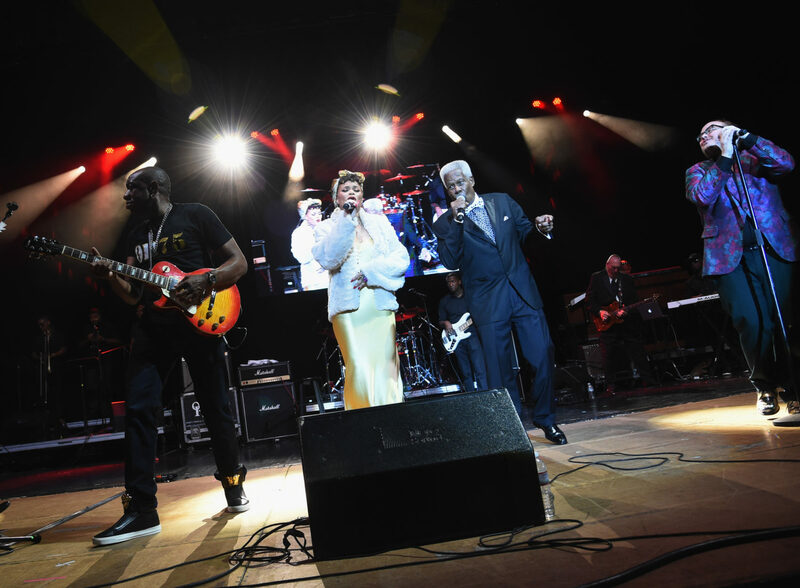 Music by the Otis Redding Foundation’s DREAM Choir, a reunion of the ’80s hit group The Reddings with Mark Lockett, Birmingham-based soul band St. Paul and the Broken Bones, Grammy-nominated singer/songwriter Andra Day, internationally acclaimed violinist Robert McDuffie, Rolling Stones pianist Chuck Leavell, and Stax legends Steve Cropper, Eddie Floyd and William Bell brought multiple standing ovations. 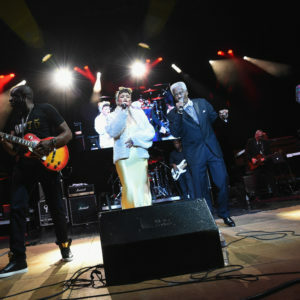 The stars were not just on stage, however. 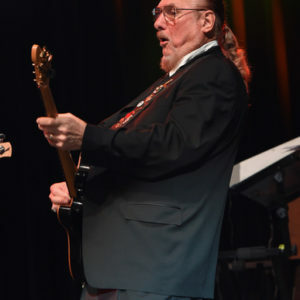 Local Macon legend Gregg Allman of the Allman Brothers Band attended the evening’s festivities, as did storied DJ Donnie Simpson. 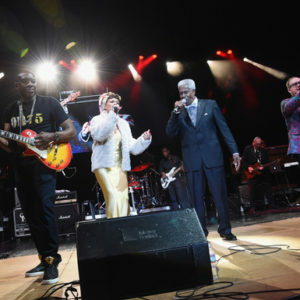 Video greetings from Whoopi Goldberg, Randy Jackson, Lalah Hathaway, Charles Bradley, Allen Stone and Lionel Richie, along with remarks and a proclamation by U.S. Representative Sanford Bishop set the tone for an evening filled with deep respect, honor, and celebration for the late soul legend. 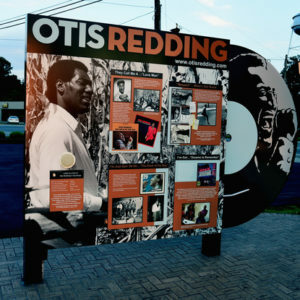 The Otis Redding Foundation honored Fred and Dinah Gretsch, longtime president and chief financial officer, respectively, of the Savannah-based Gretsch Company and Macon native McDuffie with its Award of RESPECT for their tireless dedication to education through music and the arts. 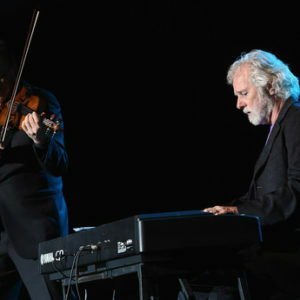 After accepting his award with violin in hand, McDuffie joined Leavell onstage to perform a duet of Leavell’s instrumental “Southscape” to open the show. 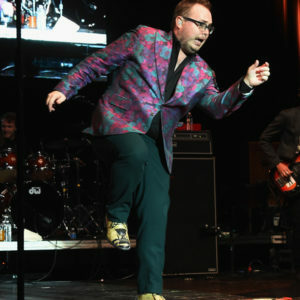 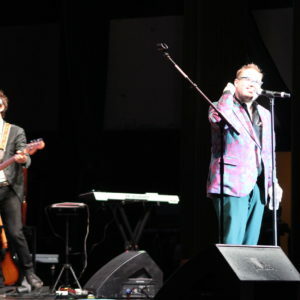 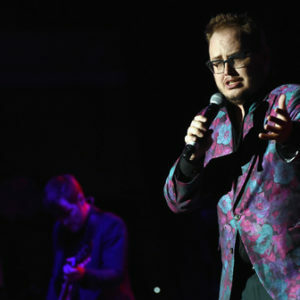 The evening was filled with show-stopping performances that kept the audience dancing from St. Paul and the Broken Bones’ opener, “Ole Man Trouble,” to the closing number of the evening, Otis’ number-one hit single “(Sittin’ On) The Dock of the Bay” delivered by all of the evening’s performers. 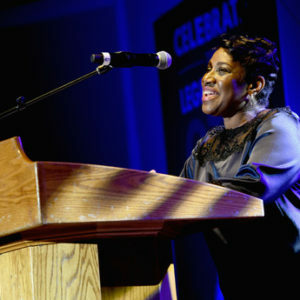 “It was a truly amazing evening and we thank the people of Macon-Bibb and from around the world who came to be a part of the celebration,” Redding-Andrews remarked. 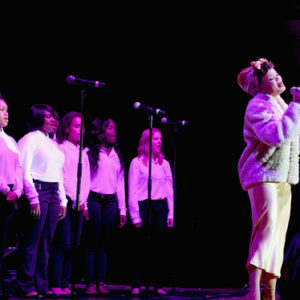 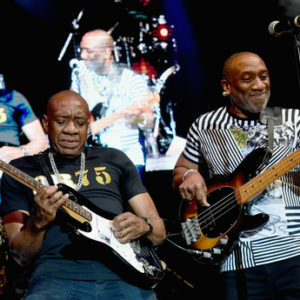 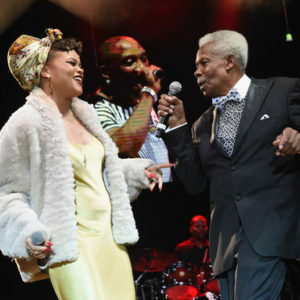 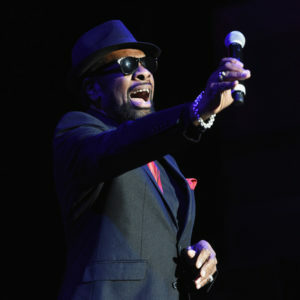 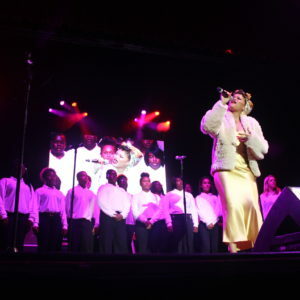 The star-studded event, produced by Red Light Management and JAM, Inc. in association with the Otis Redding Foundation, paid tribute to Otis Redding’s music while carrying on his legacy of promoting education through music and art, which is the Foundation’s mission. 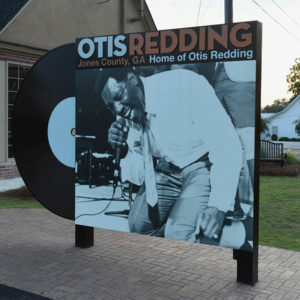 Proceeds from the event will benefit the Otis Redding Foundation and DREAM Academy – Georgia’s first authentic state-wide arts-integrated public charter school, uniquely designed to educate and empower students to reach their full potential through the blending of music, the arts, and academics.